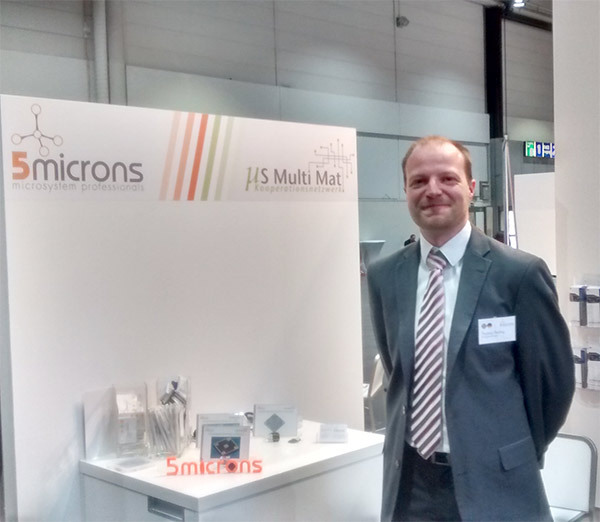 The first appearance of the 5microns GmbH at a fair took place on 04/25/2016 at the Hanover Fair. At the joint stand of the ThEx innovativ the 5microns GmbH presented itself together with the ZIM cooperation network MS MultiMat. The exhibits represented the entire service spectrum of 5microns GmbH and thus helped to stimulate interesting conversations with the visitors. We thank all visitors and our supporters. 5microns is new member of Initiative Erfurter Kreuz e.V.